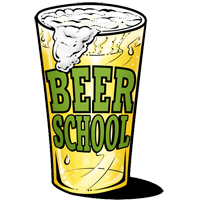 beer school » Blog Archive » introducing Beer School the beer! 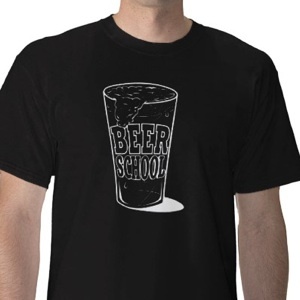 introducing Beer School the beer! Join us at 5PM on Monday February 1 for the release of Beer School the beer. 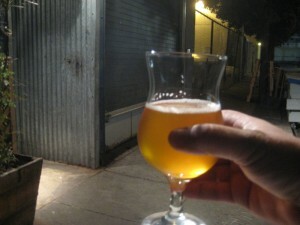 it’s pouring at 21st Amendment on 563 2nd St (between Brannon and Bryant) in San Francisco. Beer School (the beer) is a dry hopped Blonde that weighs in at 9.1% ABV. the idea was to take two wrongs and make a right. the details of how this beer came to be will be posted soon. this is one of the beers featured for Strong Beer Month which is a joint effort between Magnolia and 21st Amendment. now in it’s 7th year with it’s original idea was to do something for the make what is normally the slowest month of the year into something that wasn’t. anyway. see you at 5PM!